McAllen native and journalist Aaron Cantú was indicted May 30 on two counts of felony rioting, conspiracy and five counts of destruction of property. He faces up to 75 years after a Jan. 20 mass arrest on Inauguration Day in Washington D.C. Prosecutors dismissed charges for all journalists, with the exception of Cantú and photographer Alexei Wood who live streamed the protest. Cantú is scheduled for arraignment on Friday, June 9. The 28-year-old was reporting on the protest, according to his previous lawyer, Grandison Hill, who spoke to The Associated Press in January. “Journalists have a constitutional right to cover protest(s), whether those protests are peaceful or not,” said executive director of the ACLU of the District of Columbia, Monica Hopkins-Maxwell, in a statement a week after the incident. Cantú was not named in an April 27 Superior Court of D.C. superseding indictment, in which the government alleges that more than 200 demonstrators caused over $100,000 worth of damage during the protest, according to court documents and reports. Verbiage of Cantú’s May 30 indictment was identical. Wood was included in the April 27 indictment. 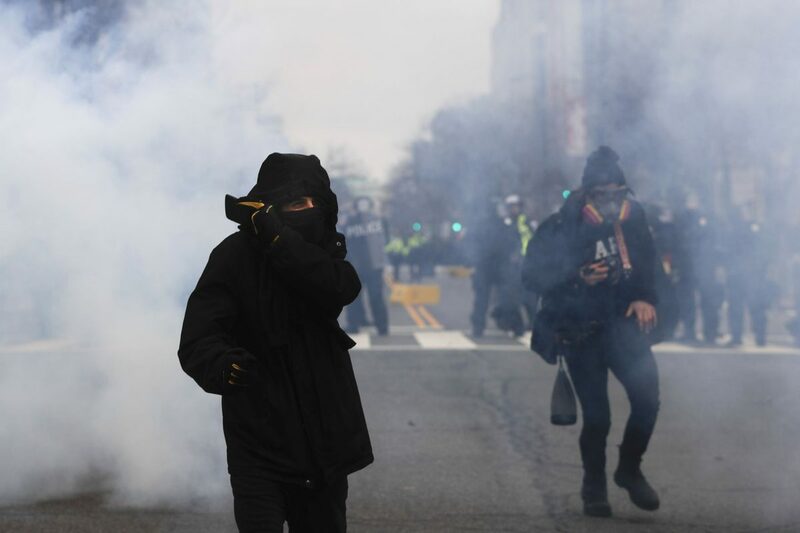 On Jan. 20, a group of “black bloc” protesters, individuals donning black, marched from Logan Circle to 12th and L Streets, where the masses — including demonstrators, journalists and observers — were corralled. “Journalists are not above the law and have no right to incite a riot or engage in acts of assault or vandalism. But the reason for Mr. Cantú’s arrest, however, seems to be exactly the same as the other six journalists who have now seen the charges against them dropped,” wrote media-rights advocates from Reporters Committee for Freedom of the Press in a letter to the United States Attorney for the District of Columbia, Channing D. Phillips, on Feb. 27. “They were covering protesters and were therefore in the vicinity when a few of those protestors apparently threw rocks or smashed store windows with hammers. Cantú is currently a staff writer with the Santa Fe Reporter covering criminal justice, education, healthcare and immigration. He’s written for VICE, The Intercept, Salon, the Guardian, Al Jazeera America and other publications. Cantú and his lawyers declined to comment.